FORMost Events and Promotions offers creative Design and Production services in the Maryland, Washington DC, and Virginia metropolitan markets. Are you a corporation, non-profit organization, government agency, local retail business, college or association? We have the experience to plan and execute events that will exceed your expectations. We provide a consultative approach to our clientele. Our communication, organization, and negotiating skills bring services and solutions to meet your needs and special requirements. Our “Calm Under Pressure” approach to the process of event planning carries over to the day of your event ensuring your event is spectacular in every way. 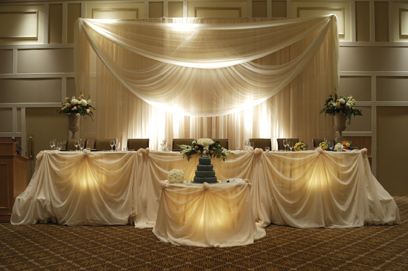 Let us worry about every detail so your event is enjoyed and remembered by all! As event coordinators, we listen to your needs and present ideas and solutions to meet your requirements. We offer full-service planning or à la carte services. Our art of choreographing people and activities is our specialty. Let FORMost Events create spectacular events that address your purpose, message or impression that you are trying to communicate. Our clientele includes Corporations, Associations, Government Agencies, Non-profits,Education, Wedding Planners and Individuals seeking exceptional event production services.